Sorry, we are currently sold out of 'Chemex Ottomatic Coffeemaker'. Please check back later. 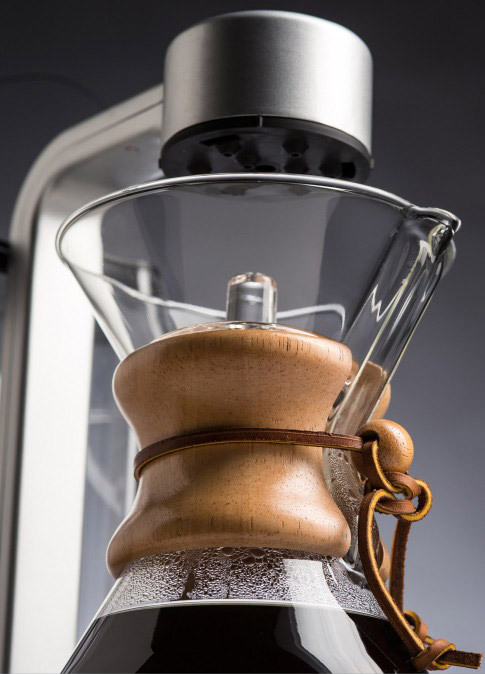 The newly released Chemex Ottomatic puts a modern spin on a timeless coffee brewer. With its sleek, clean design it is a perfect complement to the sophisticated Chemex carafe. 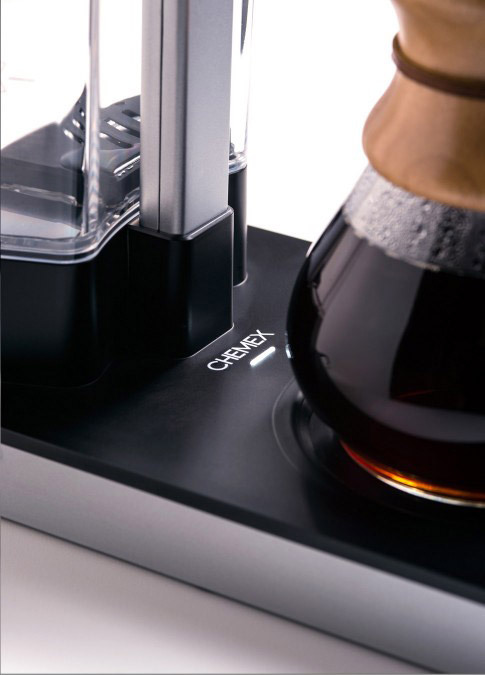 The brewer automatically controls key brewing variables such as pre-soak, contact time of water to coffee, heating water to the target temperature of 197.6F-204.8F degrees, and a hot plate that keeps coffee warm without burning or ruining the flavor. The sprayhead has a staged brewing cycle that pulses water to ensure maintained temperature that wets the entire coffee bed, providing even extraction each time. The Ottomatic fits all Chemex carafe sizes (5, 6 and 8 cup). - Simply fill the tank with water until desired level is reached and replace tank cover. - Following normal Chemex® brewing instructions, place a filter in the top of the carafe, put one rounded tablespoon of coffee for every 5 ounce cup of desired brewed coffee into filter cone. - Place carafe onto heating element and adjust so that the open filter is located below the sprayhead. - Switch the power button to the on position. The small bar found on the base of the Ottomatic® will light up to indicate the brew is in process. 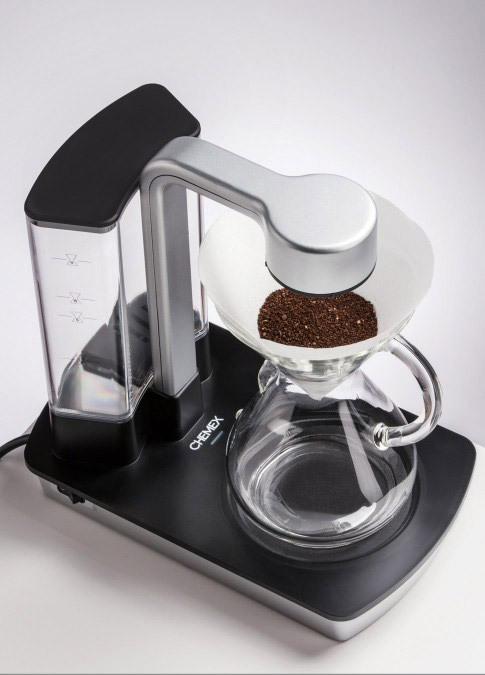 - The Chemex® Ottomatic® coffeemaker will then brew your perfect cup of coffee. - When the light changes from red to white, the tank will be empty and the the last drops of coffee will be extracting into the carafe. - Remove and dispose of the filter. Fill your mug. Enjoy.